Despite the rough start in Washington on opening night, the Boston Bruins have responded quite nicely in the four games since. In those four contests, the Bruins rattled off four wins and outscored their opponents by a score of 22-8. A nice early sign that this team is building off what they started a year ago. Now, several days removed from their 8-2 thumping of the lowly Detroit Red Wings, the Bruins are set to head out west to begin their four-game Canadian road trip. Do the Bruins have the best line in hockey? You bet. And it really should not come as any surprise if you have watched this team over the last several years. Patrice Bergeron, David Pastrnak, and Brad Marchand combined for 228 points a year ago on a team that won 50 games in the ultra-competitive Atlantic Division. So far, through the first five, the three already have combined for 30 points. Bergeron leads the way in that department with eleven (5G,6A) points and looks like, once again, one of the best two-way players in the NHL at age 33. Pastrnak leads the team in goals with seven and Marchand is tops on the team in assists with nine. No matter how you distribute the points, the fact remains that they have been the driving force for the Bruins early success. Pastrnak’s development is the most intriguing thing to watch this season. As long as Bergeron and Marchand have been in the league, you pretty much know what you are going to get out of them. Pastrnak, on the other hand, has made huge strides over the last couple season scoring 34 goals in 2016-17 and 35 goals in 2017-18. He had 70 and 80 points respectively in those seasons. The big question this year is, can he make another step forward and break the 40-goal plateau for the first time? He is certainly on pace to do so in the early going. 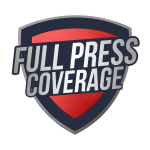 Want to write for FPC NHL? We are looking for talented and passionate writers and editors to join our growing NHL department at Full Press Coverage. Follow this link to apply and start covering the greatest sport on earth. Despite what some people may say, there is no goalie controversy in Boston. Follow the bad opener against the Capitals, Tuukka Rask has settled down and won his last two starts. However, that doesn’t mean we can’t highlight Jaroslav Halak’s strong start in his first season with the Bruins. In two starts this season, Halak has picked up two wins and turned aside 73 of the 76 shots he has faced. Good for a .961 save percentage and a 1.16 goals against average. Halak has become a bit of journeyman after being drafted by the Canadians in 2003. Prior to signing with the Bruins in the offseason, he spent the last four seasons with the New York Islanders. In his four seasons on Long Island, Halak went 88-65 with a 2.69 goals against average and a .913 save percentage. An impressive tenure to say the least. The Bruins will need that type of play from Halak all season to help spell Rask who has started at least 62 games for the Bruins in three of the last four seasons. If the Bruins are looking ahead to a long playoff run, preserving Rask throughout the season should be a priority. You will likely see Halak in net in at least one game in this four-game road trip. The most likely scenario is that he will be between the pipes against the Oilers on Thursday, the second of back-to-back games for the Bruins. Defenseman Torey Krug has yet to see the ice this season as he has been sidelined since the end of September with an ankle injury. However, reports are that the Bruins expect Krug to hit the ice this week and there is a possibility he is cleared in time for the game in Ottawa on the 23rd. The last of this four-game road trip. Inserting Krug back into the lineup will certainly be a positive for the Bruins. He should instantly improve the power play which is already one of the best in the league. Currently, the Bruins are converting on over 40 percent of their opportunities. Now, add a dynamic offensive-defenseman like Krug and you have a better chance at maintaining that success. An early season four-game road trip (three games in California) last year in which the Bruins went 3-1 helped turnaround a dismal start to the season. Eventually, they went on a roll and ultimately became the third best road team in the league. This year, they have gotten off to a much better start. However, this road trip can help the Bruins re-established themselves as one of the best road teams. – Ian Glendon is the Editor-In-Chief of Full Press Coverage. He covers the NFL. Like and follow on Follow @iglen31 Follow @FPC_Patriots and Facebook. I am an avid Patriots fan having grown up in Massachusetts. I am the Editor-In-Chief of Full Press Coverage. In addition to my work with FPC, I cover High School baseball in the Tampa, FL area.